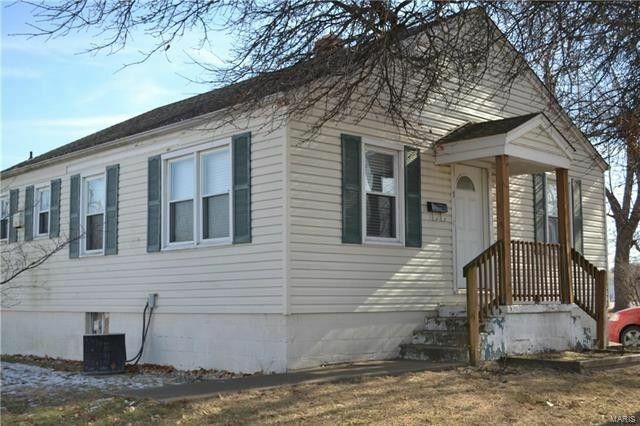 Great 2 Bed/1 Bath home with one car detached garage on a large lot. Roxanna School. Updates throughout the interior and exterior. Property currently rented and tenants rights apply. Property originally had two residences, back residence was grandfathered in but can not be used as a residence currently, zoned B3. "AS IS" Seller to make no repairs. BUYER/BUYER'S AGENT TO VERIFY ALL INFORMATION INCLUDING BUT NOT LIMITED TO MEASUREMENTS, SQUARE FOOTAGE, SCHOOLS, TAXES, ETC. Directions: Route 143 to 13th St. On the corner of 13th and Ferguson.